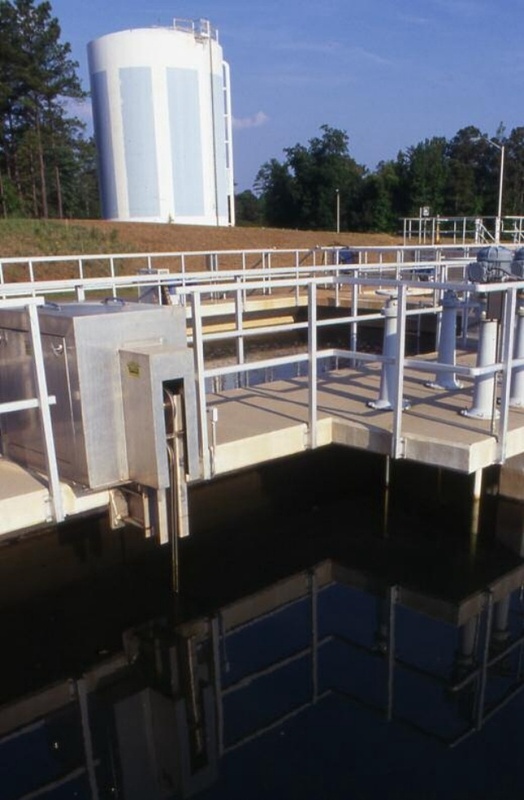 The Sludge Sucker™ Sludge Removal System collects sludge in surface water applications and effectively removes light sludges such as alum or ferric hydroxide or light iron and manganese precipitates in potable water supplies. The Sludge Sucker Sludge Removal System is designed as a light-weight yet rugged system built to last over the long haul with corrosion resistant stainless steel as well as programmable operation and variable speed collection. Ideal for basin retrofits to add sludge collection or automatic removal functionality, the system has low capital, maintenance and operating costs and offers positive tracking down the length of the basin. The Sludge Sucker Sludge Removal System consists of a moving sludge removal header, guide track, drive unit, drive cable, solid state control and a fractional horsepower motor. A single unit can cover a basin size of 30 ft. wide x 125 ft. long.